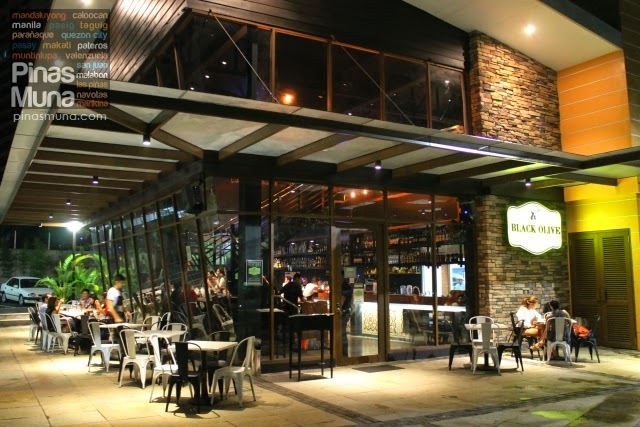 Black Olive Cerveceria is a casual dining restaurant at the Capitol Commons in Pasig City. 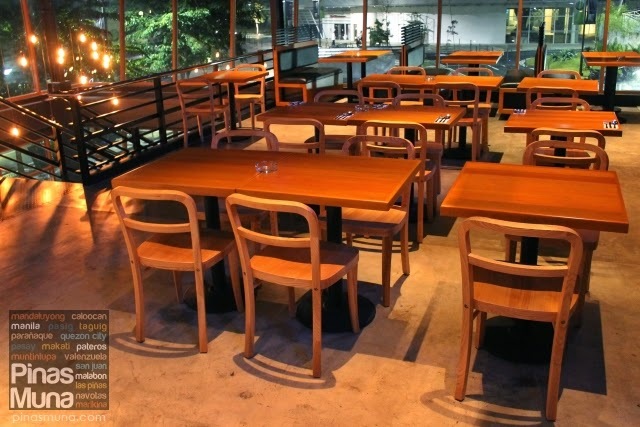 Black Olive mainly serves modern Mediterranean-inspired cuisine and a selection of premium European draft beer brands. 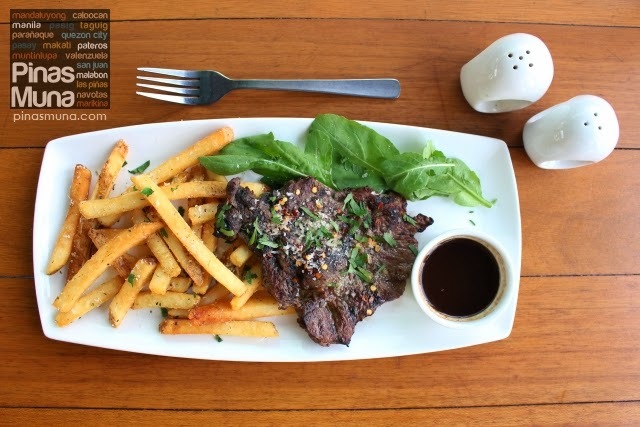 At daytime, Black Olive is an excellent place for a scrumptious lunch and quick afternoon pasta fix for snack. After a day's work at the office, Black Olive is also a perfect choice to cool down and unwind with a glass or two of your favorite European draft beer. In the evening, you can end the day at Black Olive over their hearty main dishes such as the Grilled Italian Sausage with Roast Garlic Mashed Potato and Pepperonata; Grilled Tuna Belly, Mojo Crudo, Mesculin Greens and Lemon; Signature Grilled Peri-Peri Chicken Served with Rice Pilaf; Porchetta with Rosemary Roast Potato and Caponata. You should also not miss the Black Olive Paella that is good for sharing for 2 to 3 persons. 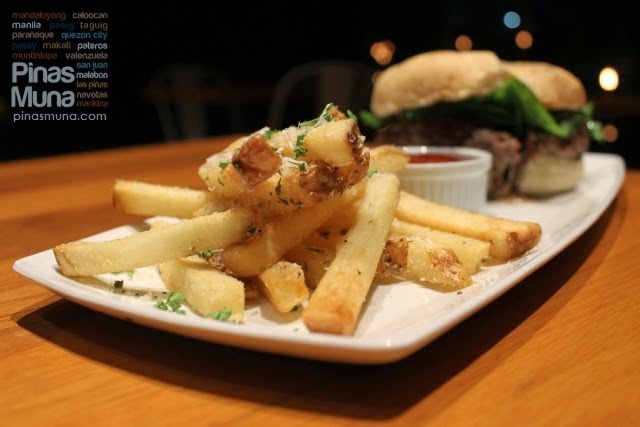 For late night cravings, we suggest The Italian Burger (P490.00) made of US Angus beef patty that was stuffed with mozzarella cheese, and then topped with arugula leaves and tomato jam, and finally served with fries. This burger is perfect with a glass of cold beer. What I like the most about this burger is the thick patty made of high quality beef. The patty was very tender and juicy. Stuffing the patty with cheese is also an innovative idea. Adding arugula (versus the standard lettuce) is what made this burger more interesting. 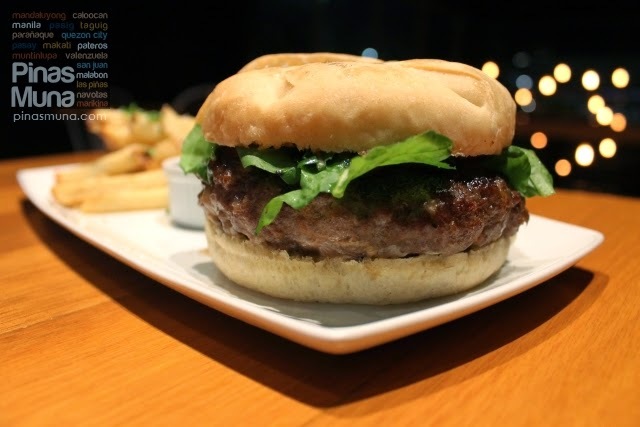 The nutty aftertaste of the arugula gave this burger a totally different character. If you prefer pizza, Black Olive has about 11 type of brick oven pizzas. 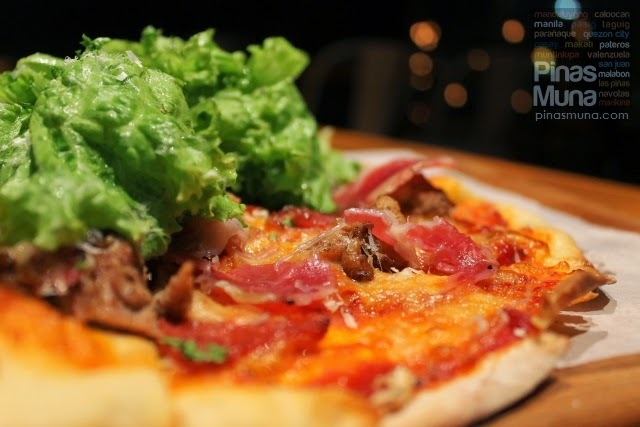 We recommend the Bacon, Beef, Chorizo, Coppa Ham, Chicken, Lemon and Pecorino Cheese Pizza (P530.00). It has a very rich combination of meaty toppings making it an excellent partner to your ice cold beer. 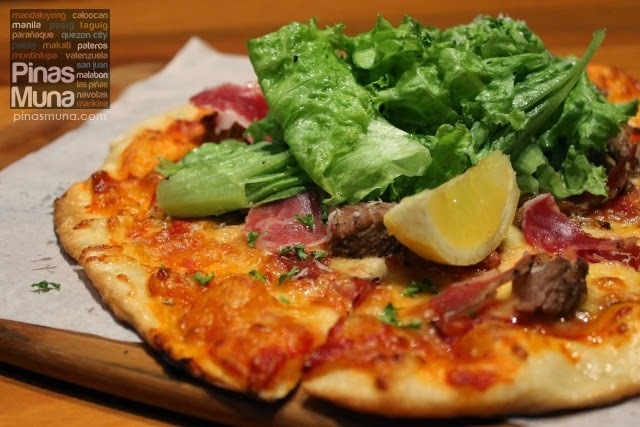 This pizza is also interesting because it is topped with lettuce and served with a wedge of lemon. Unsure how this will affect the overall taste of the pizza, we tried squeezing some lemon juice on one slice of the pizza. The lemon turns out to balance all the flavors of the meat, cheese, spices and tomato. 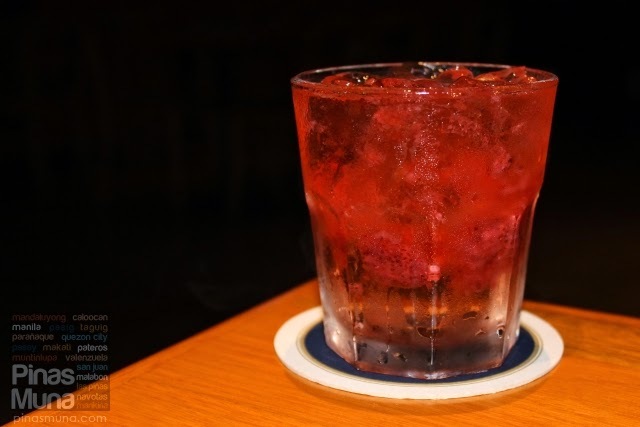 If you are not into beer, like me, then you can choose among the cocktail drinks. Their bar list include various brands of wine, vodka, gin, whiskey, cognac, rum, tequila. To match your drink, you can choose among Black Olive's delicious cold and hot tapas plates. 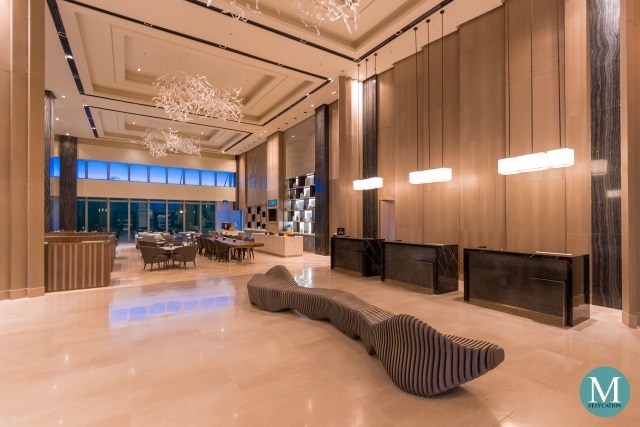 We love the flavors of Mediterranean cuisine and we are impressed by how Chef Carlo Miguel was able to infuse Mediterranean influences into Black Olive's dishes. 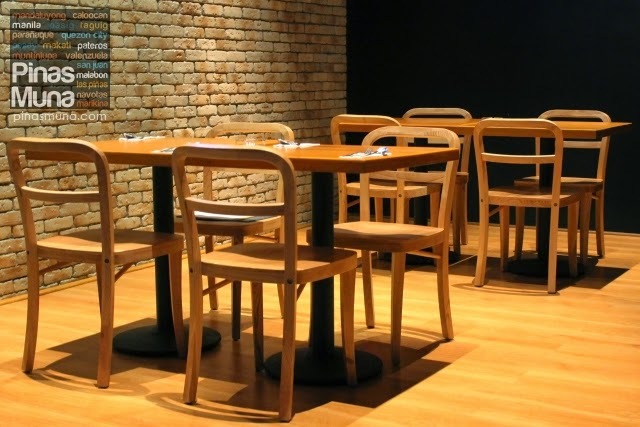 We also like the ambiance inside the restaurant. It's quiet and you can actually have a decent conversation inside the restaurant, not as loud and crowded compared to the more juvenile gastropubs. Great food, fabulous place. It's definitely our choice here at the Capitol Commons. Black Olive is from the same creators as The Distillery, Draft Gastropub, Beso Cucina Vinoteka, and Imperial Ice Bar. 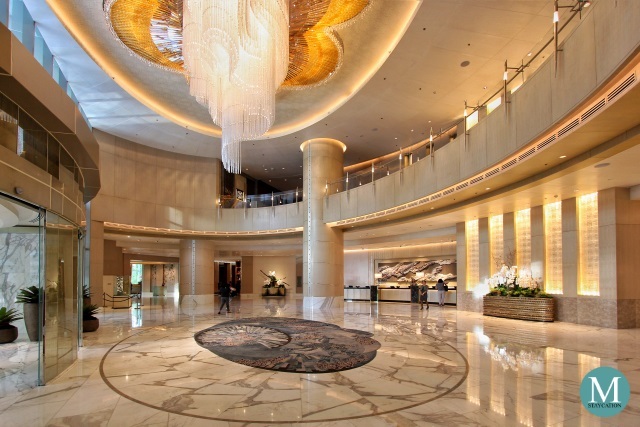 Why not combine your foodtrip with a relaxing staycation in Ortigas Center. 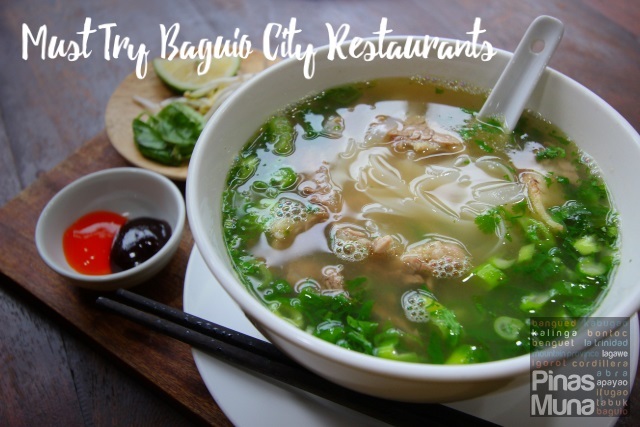 Black Olive is located in Capitol Commons and right across Kapitolyo, another famous food district in Pasig City. 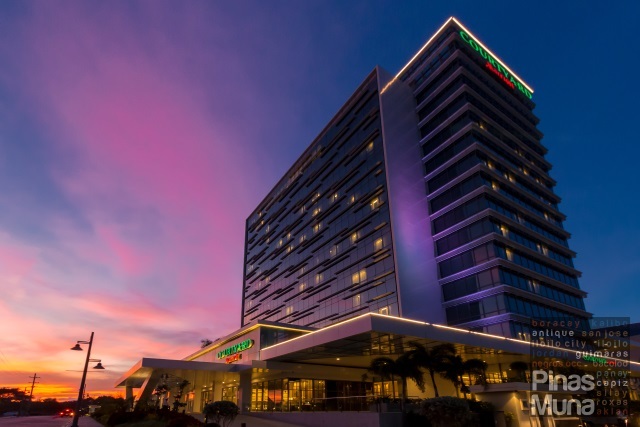 Tune Hotel Ortigas is strategically located along Shaw Blvd and in close proximity with Black Olive. 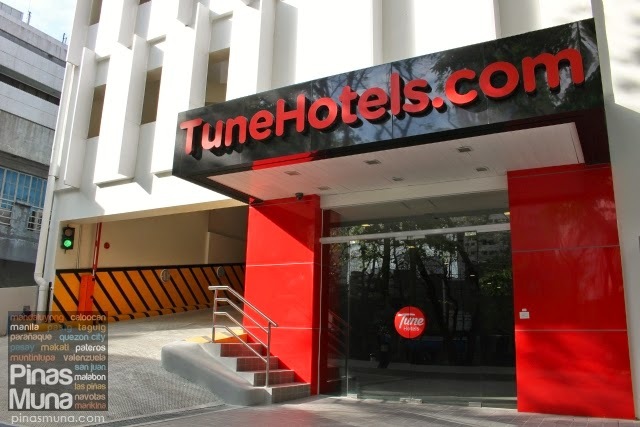 Book your Tune Hotel Ortigas stay now at tunehotels.com/ph/en and experience a culinary adventure in Ortigas Center.